Tasty Burger, the beloved East Coast burger restaurant founded by three chef friends in 2010, opens its first District location in the historic Shaw neighborhood on Thursday, July 21, 2016 at 11:00 AM. The classic burger restaurant will be open daily with counter & bar service, free foosball, digital jukebox, takeout window, full bar with indoor & outdoor seating, and late night hours. The first location to offer a full bar, Tasty Burger Shaw’s cocktail, beer & wine selection reflects local offerings with microbrews from Atlas Brew Works, DC Brau, and Duckpin, as well as the Raspberry Gin Rickey cocktail, an updated boozy version of Tasty’s classic Homemade Raspberry Lime Rickey that pays homage to the gin rickey’s D.C. roots. Additional beverage options include the Tasty Bloody Mary (made with neighboring D.C. local business Bazaar Spices’ spice blend and Smoked Bacon Chipotle Salt rim), a Pickle Back (shot of whiskey & Tasty’s pickle juice) and the Shift Drink (Narragansett and a shot of Fernet Vittone), as well as adult milk shakes like the Grasshopper, the Monk (Melleti & green chartreuse), White Russian, Strawberry Daiquiri, and Pina Colada. Tasty Burger’s signature aesthetic is also at play here in Shaw. The cheerful red & white 1800-square foot space features seating for 44, as well as 22 seats around the indoor/outdoor bar that opens up onto 8th Street thanks to giant garage doors. Local graffiti from around Shaw is highlighted through original photography. A 20-foot long custom mural features sheet music from D.C.’s own Duke Ellington. Other Tasty signature design details include a glass Coke bottle chandelier and a giant image of Samuel L. Jackson in “Pulp Fiction” eating his very own tasty burger. 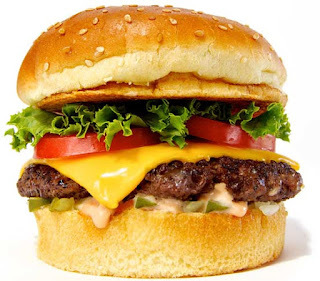 Tasty Burger is also available for Catering & Delivery. See tastyburger.com for more details. With six locations on the East Coast from Boston to Washington, DC, Tasty Burger is a modern American fast food burger joint. Outstanding fresh ingredients are cooked to order in an incredibly fun, laid back atmosphere that has made ‘Tasty’ an instant classic. The burgers are made with all-natural hormone & antibiotic-free beef, alongside shakes, rings, fries, beer, wine and cocktails; and surrounded by local artists’ work, free pool and foosball, and a digital jukebox with great music. www.tastyburger.com. Follow us @TastyBurgerUSA on Twitter, Instagram, and Facebook.